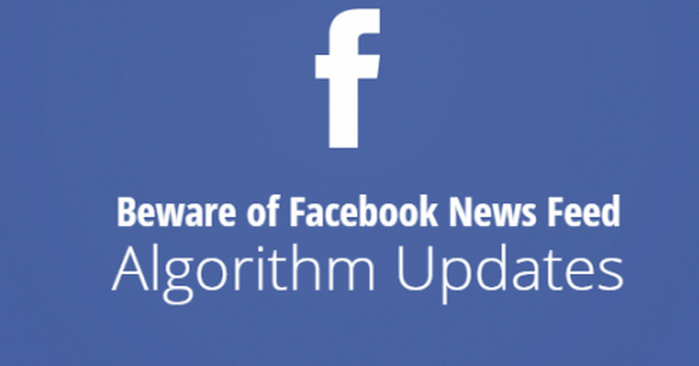 Google isn’t the only tech company making big updates this week, as Facebook took to the ’Net yesterday to announce updates to its News Feed algorithm. There are three main News Feed updates according to the social network’s announcement. The first update focuses on improving the experience for people who don’t have a lot of content available to see. With this update, Facebook is relaxing its rule that prevents users from seeing multiple posts in a row from the same source. While this first update may be good news for brands because it could lead to more of their posts being shown to users without a lot of content in their News Feeds, brands may not be as happy about Facebook’s other updates. For example, the second update will give higher priority to friends’ posts in the News Feed so members are less likely to miss this content. Facebook notes that posts from Pages will still be displayed in the News Feed, but the social network is trying to offer a better balance of content for each of its members. Finally, the last update may have an impact on brands’ social “word-of-mouth” visibility. This is because Facebook is decreasing the visibility of friends’ actions in the News Feed, including stories about friends liking or commenting on a post. With this update, these type of stores will appear lower in the News Feed or not at all. Facebook warns that these changes may have an impact on the distribution of brand Pages depending on the composition of the brand’s audience and the brand’s posting activity. That said, the social network suggests that brands continue to post things that people find meaningful.